This article is part one of a serie of blog posts which will explain more about Horizon DaaS. In this article I will describe the basics of VMware Horizon DaaS and how it differs from Horizon View. What’s New in Horizon DaaS 8.0 – Horizon DaaS – What’s New? Horizon DaaS is a piece of software delivered by VMware to offer a multi-tenant VDI product used mainly by Service Providers. Also, VMware Horizon DaaS is a niche product used by only little amount of companies. First, a little bit of history: Horizon DaaS is the evolved Desktone product. In 2006 Desktone was founded by Eric Pulier serving a multi-tenant remote desktop environment. During the years, the company struggled with the business model. The company was acquired by VMware late 2013. VMware renamed Desktone to VMware Horizon DaaS. 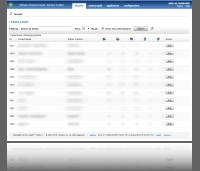 Below you will find a screenshot of the Horizon DaaS Service Center. 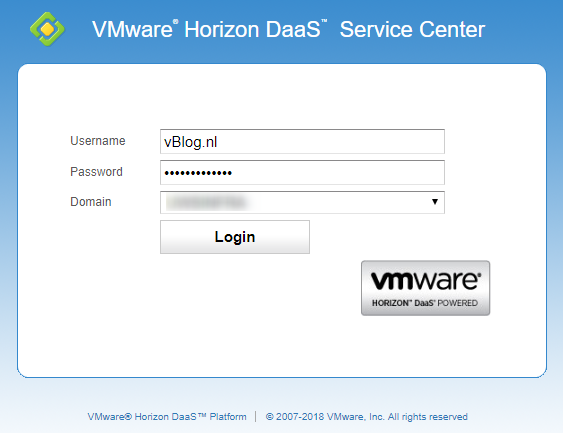 Through the years, the VMware Horizon DaaS Service Center or Service Provider Admin Portal hasn’t changed, it looks the same in Horizon DaaS 6, 7 and 8. VMware Horizon DaaS is a Unix based product running in your own datacenter.